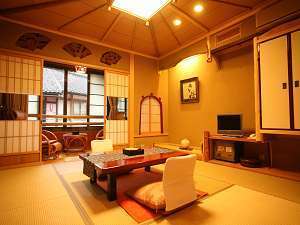 One of our Japanese-style guest rooms. Recommended for those who want to stay for sightseeing. You can arrange your plan as you like. 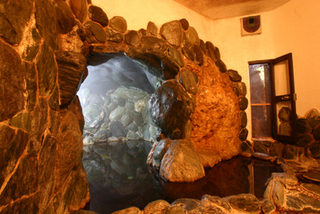 Visitors staying here can use Kinosaki's seven public bath houses for free between check-in and check-out with free admission ticket, but also you can use our unique cave-style bath. 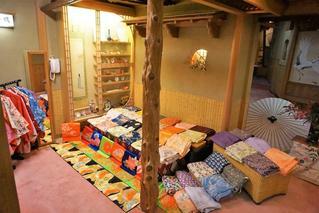 Guests can wear colorful yukata at the property. Free Wi-Fi is available throughout. 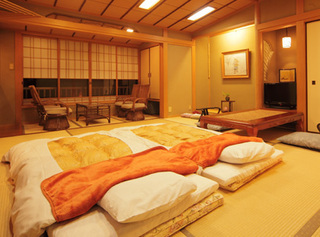 Guests sleep on futon bedding on a tatami(woven mat) floor. One of our unique cave-style baths. They can be reserved for private use on weekdays. Beautifully colored yukatas (cotton kimonos) for our guests. 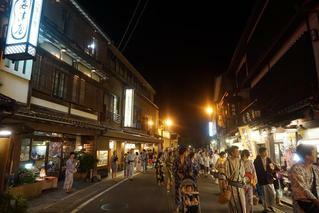 Facing the central shopping street of the Kinosaki Onsen hot spring area.